The Material - The highly reflective material used incorporates millions of tiny glass beads which shine brightly in vehicle headlights and make the wearer more visible. 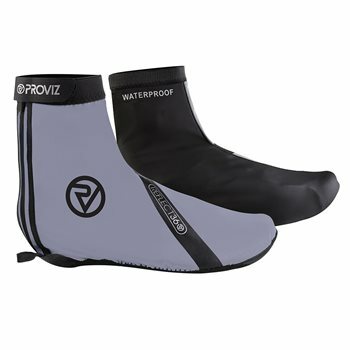 Waterproof Lock Zip - The REFLECT360 Overshoes feature a waterproof lock zip to keep rain and road spray from getting in. Covered Toe - The covered toe helps to keep spray from the road from getting into the front of your shoes.